"the best financial planners in Gold Coast"
Need Financial Advice in Gold Coast? Darren is a Certified Financial Planner (CFP®) with the FPA® and a Specialist Self Managed Super Fund Adviser (SSA) with SPAA. 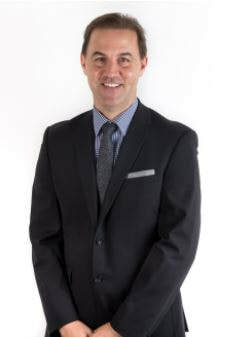 Darren has a Bachelor of Commerce degree and Diploma in Financial Planning. 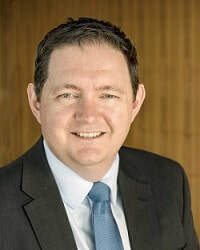 Prior to establishing Robina Financial Solutions (RFS) in 2004, Troy was employed for ten years as an Accountant and Financial Planner with a Tweed financial planning and accounting practice. With the guidance of a senior adviser (who remains a firm friend) he cut his teeth on building client investment portfolios and defensive asset allocation strategies before moving into asset structuring and protection. CWL Accountants – a BRW top 100 Accounting firm, then provided him the opportunity to build something of his own within their firm and RFS was born. The business has gone from strength to strength largely due to a simple philosophy of providing the services that clients want and need and then delivering on our service promises. Troy has won a number of awards going back to 2006 however he was very proud to accept Professional Investment Services ‘National Financial Adviser of the Year’ in 2012 and in a unprecedented result, again in 2013. There are over 650 advisers in the network around Australia and this is a reflection of the quality of the business he has helped build and his commitment to the clients of RFS. Neil is an experienced Certified Financial Planner (CFP) and Private Wealth Manager and joined this profession 30 years ago. He also holds professional qualifications in Agriculture. Neil specialises in helping clients achieve their wealth management goals including investment strategy and quality strategic advice. He also specialises in designing income generating portfolios for pre-retirees and retirees who require reliable income. ​He works closely with his clients planning for the accumulation, preservation and security of wealth. Most of Neil's clients are self- funded retirees, professionals or private business owners. Self-Managed Super Funds (SMSF) are also a core of most client’s investments. Neil also specialises in advice in relation to expatriate executives, multi-million dollar business sales and divorce settlements. 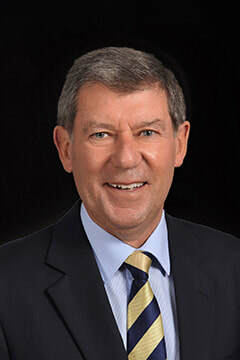 He is a Director and owner of Boston Private Wealth Pty Ltd, and was awarded ‘Financial Planner of the Year’ in South Australia in 1992 and 1994. Money Management magazine also awarded him ‘Australian Financial Planner of the Year’ in 1998. He has been providing a fee based ongoing portfolio management service to his clients for over 25 years. Neil resides at Sanctuary Cove in South-East Queensland and actively services clients in Queensland, Melbourne, Adelaide, Sydney, Tasmania, Central West NSW and Overseas. Neil and his wife Debbie enjoy quality family time, travel and golf.